Today was Day #2 of Chocolate and Citrus/Orange Theme Week. 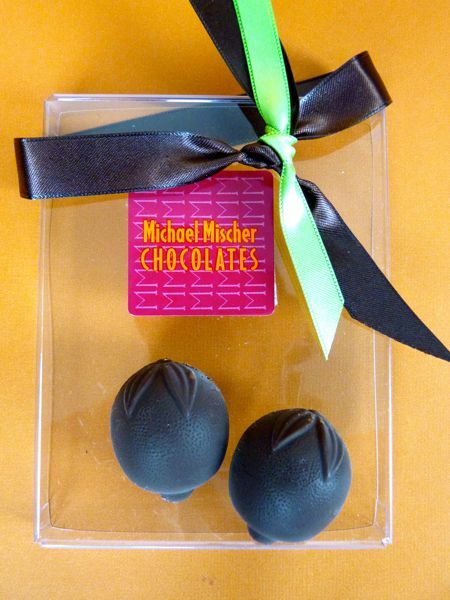 This Orange Zest filled chocolate from Michael Mischer Chocolates (Oakland, CA) was shaped like a half-round citrus fruit, complete with orange peel textured skin. Inside the dark chocolate covering was dark chocolate and naturally flavored orange peel ganache.